Penstable plan to Change The World One Pension At A Time. Penstable is a FinTech startup specialized in sustainability and impact investments in the pension sector. We are building a robo-advisor exclusively built on sustainability investments for the pension sector, the CEO of Penstable states. 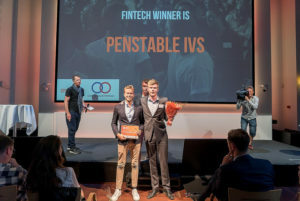 Penstable’s fresh, but solid business idea went down big at Venture Cup’s National Startup Competition 2017, and so the young startup was declared the incontestable winner of the Fintech category! We’ve had a chat with Niels, the CEO of Penstable, and discovered his enormous ambition of starting the company and the manner he was facing the initial challenges. 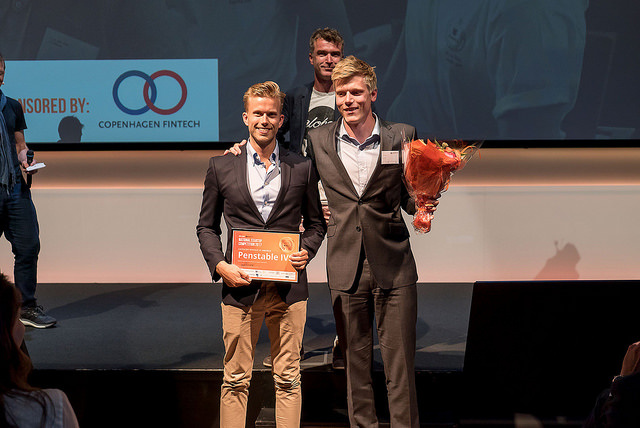 Find out what it is like to be in the shoes of a young student who won Denmark’s largest entrepreneurship competition for students! 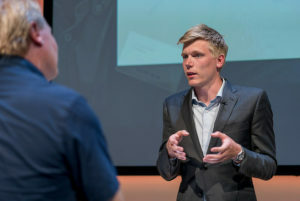 Niels is 24 years old and is the CEO & Founder at Penstable. He is originally from Vejle, the Ruby of Jutland. He holds a MSc. in International Business and Politics from Copenhagen Business Schools. 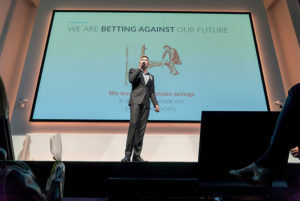 Prior to founding Penstable, he has worked as a policy adviser at the Permanent Mission to the United Nations of Denmark, as a consultant to the UN system, and as a financial journalist at Ritzau Finans. In addition to myself, Penstable consists of Emil, Morten, Markus and Johan, Niels affirms. How have you started Penstable and what motivated you? While working with the UN, I worked on financing of the UN development activities and partnerships between the UN, governments and the private sector. I figured that perhaps I could do something to channel more private investments towards impact investments, and in that space, pension savings would be the obvious choice to start in Denmark. Consequently, I left my job and arrived in Copenhagen on December 24th, 2016 to start Penstable. I moved back into my girlfriend’s dorm room and started completely from scratch. My key motivations were learning new things and building a solution that could channel more private resources towards impact investments and sustainability, says Niels. We face two key hurdles: first of all, there is a public perception that if you invest in sustainability, you will achieve a lower return on investment on your pension savings. And secondly, there is a need to convince people to invest their life savings through a startup. We approach these hurdles like we would approach any other challenges – in small steps. We develop and test hypotheses on users to slowly work our way towards designing a user experience that alleviates these concerns, Niels states. We have obtained a bit of funding and received a couple of awards, but there is still a long way towards truly “exciting” traction. But the most exciting part of our journey so far has been the reaction we have seen from everyone around us; all the feedback, mentoring and support that we have received. What did it mean for you to be the FinTech category winner at NSC17? Our office is next to Gobundl, an insur-tech startup that also has a glorious record in Venture Cup competitions, and most importantly it means that I won’t be mocked by them. Jokes aside, NSC17 meant testing ourselves against the best new startups in the country – something we strive to do as often as possible. The competition gave us a lot of useful feedback, and winning the title gave us a lot of very useful publicity and experience. Winning the FinTech track, as well as performing well at Seed Capital Discovery Day 2017, has shown us that there is potential in our idea, and that we are on the right track. The uncertainty that we experienced in the very early months of our work, where I would often wonder if we were just blind idealists with an utopian vision, is slowly starting to fade away, states Niels. I am still a rookie myself, and it is far too early to dish out advice. My takeaways from 8 months of chaos has been: Enjoy the ride, sleep and eat well, pick a diverse and dedicated team, and get going. You’ll be surprised by how willing people are to help you out, even if you are new, if they can see that you are putting all of your effort into a given project. For the next 4-5 months, we are staying on track, developing our product and working with partners – hopefully towards launching in the early part of 2018, says Niels. Check out Penstable’s cutting-edge concept here.